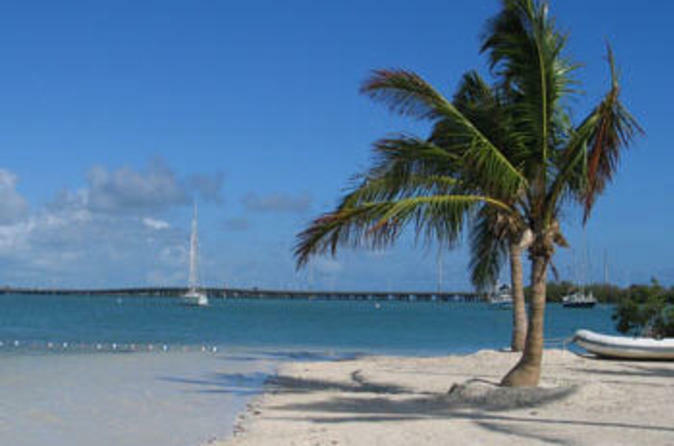 Travel from Miami to Key West in a convenient, stress-free way! Leave the driving to the professionals and relax in a comfortable bus as you make the picturesque trip down the Florida Keys to Key West. This is a great way to get to Key West, where you can stay a night or two (or 10! ), enjoy the great restaurants and nightlife, and enjoy return transportation back to Miami. Hotel accommodation is not included. The scenic drive from Miami to Key West is made for looking out the window at the islands of the Florida Keys, not keeping your eyes on the road. This round-trip transfer from your Miami hotel to Key West allows you to sit back and enjoy the views from a comfortable bus; there will be one rest stop on the way. At approximately 12 pm, you will arrive in Key West and be dropped off downtown at the Mel Fisher Museum at 200 Greene Street. Stay in Key West for as many nights as you’d like -- just remember to provide your desired return date in the Special Requirements field when you book this transfer. Enjoy your time in Key West, strolling down the leafy streets, touring historic houses, relaxing on the beach or enjoying water sports. When you’re ready to go back to Miami, you’ll enjoy the same convenient transportation. Important: Please advise of your preferred return date at the time of booking in the 'Special Requirements' field. You will need to reconfirm with the local operator to obtain your departure time from Key West.